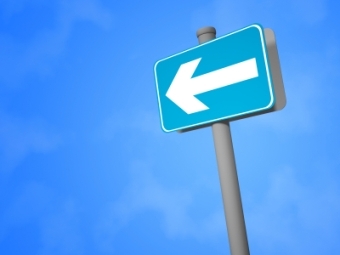 Do You Need a Roadmap to Make Your Blog Successful? • Transform your blog into something spectacularly professional! • Learn a strategy on how to become profitable blogging! • Start driving traffic that you never dreamed of! Your colorized labels also show up in the left sidebar of the blog as well. In the last decade being or becoming a programmer or coder has become a path to one of the hottest job markets in the US and probably in the world. Coders are in very high demand and keeping up on new technology can be a challenge. 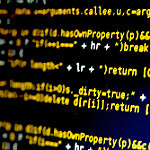 Many coders learn not only through classes or jobs, but also through coding blogs. Unfortunately Google seems to have missed the mark completely by bypassing Blogger as an amazing platform for technologists and coders. I should note, though, that it really isn't the platform that is the problem--it is the available templates and API integrations offered by Google. Yes, you can go out and find Blogger templates from third parties, but, if you (Google) haven't offered a set of clean coder templates along with Github integration you've clearly missed a significant opportunity. That being said a clever programmer could certainly go out to the Blogger API to integrate posts into Github and attempting to hack template uploads as part of a continuous integration build. But, that's beyond the scope of this post. The goal today is to guide you, the coder, to a simple, clean, customized, extendable and reactive template that looks and feels like many of the blogs or articles you see on sites like Hackernoon or others. First step is to choose the right base Blogger template. Clearly, we only have four choices since we want a modern, reactive template (Contempo, Soho, Emporio, or Notable). Each has it's pluses and minuses but I'm going to use the Contempo template since it has a nice full-screen feel and is somewhat minimized. I've been spending a significant amount of time this year digging deep into the new Blogger responsive templates (Contempo, Soho, Emporio and Notable). There's quite a bit to be excited about yet there are some very frustrating components to the new responsive layouts that bother me. I will be posting more about them soon. In the mean time I thought I would add a short post on how you can alter the social share icons in these four responsive templates (plus a similar change in the older V2 template icons at the end of this post). One of my frustrations with the new templates was that all of the social share buttons were set to the same color. You can alter their foreground and background colors as a group in the Template Theme designer which is good, but, they're all the same and don't match the standard colors of the social network logos. 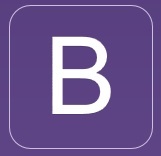 It seems that all four templates have used the same social sharing svg icon code. If you're not familiar with svg icons you can find more information here (SVG 101) and here (What is SVG?). When the new Blogger version 1.3 or V3 templates came out in early 2017, a significant amount of code was added dynamically as your blog renders for responsive images and SVG sprites. (If you want to find out your Blogger template version just look in the Template html - you'll see the version at the top. 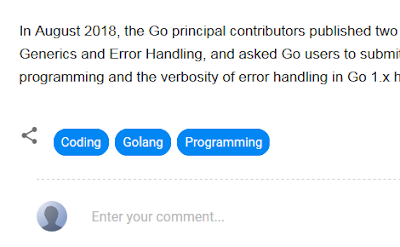 Most of us have been using version 2 for the last 10 years). 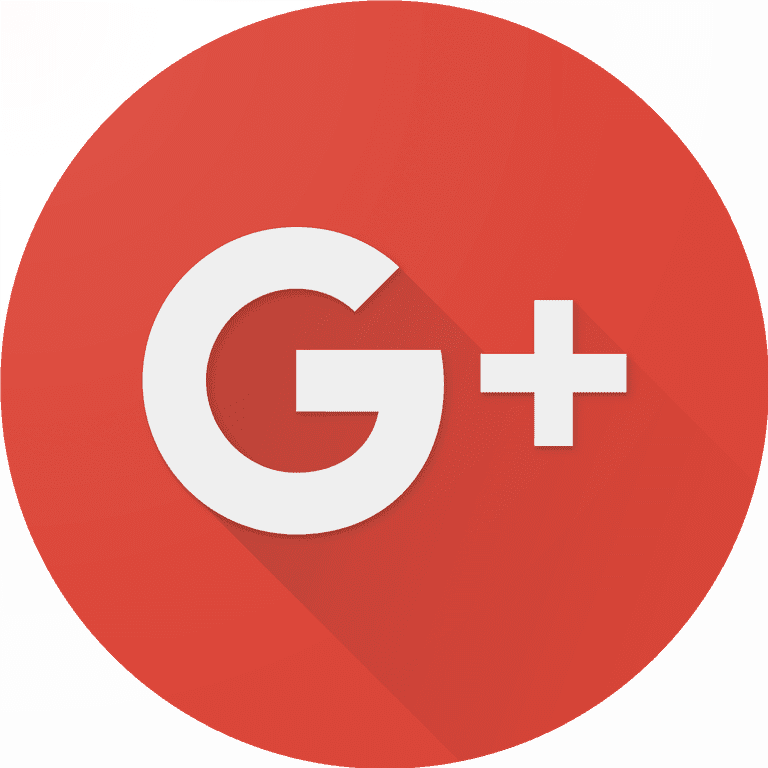 As most of you probably know by now Google is officially shutting down the consumer version Google+ in April 2019. Unfortunately for Blogger admins, this has some significant impacts for any Blogger blogs tightly integrated with Google+ widgets, comments and profiles. 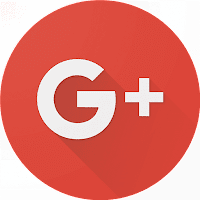 But, for me the real tragedy on this change is just how much Google had pushed Blogger owners to integrate Google+ into their blogs especially back in 2012 to 2014 like these - Socialize and Grow your Blog with Google+ or Automatically Share your Posts to Google+. I know I was very tempted to convert my comments and add the Google+ widgets in BloggerTipsPro but thankfully I hadn't made the move since I already had so many native Blogger comments which was something I didn't want to lose. If Plus had grown a bit more I might have jumped. So, what does this mean to you, the Blogger admin of one or more blogs? Well, the news isn't great. First, let's start with the easy change. 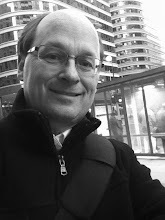 If you have an About gadget on your blog and it is using the Google+ profile, it will be automatically converted back to the native Blogger profile like mine here. However, it will be blank and you will be prompted to create that profile with a image. Well, if you're like me you have been putting off getting fresh backups of your Blogger site content, template, images and videos. It's amazing that Blogger has been around almost two decades and through that journey it has transformed its templates while modifying the underlying infrastructure to support it. Google has moved much of your content to newer services typically without you knowing it. 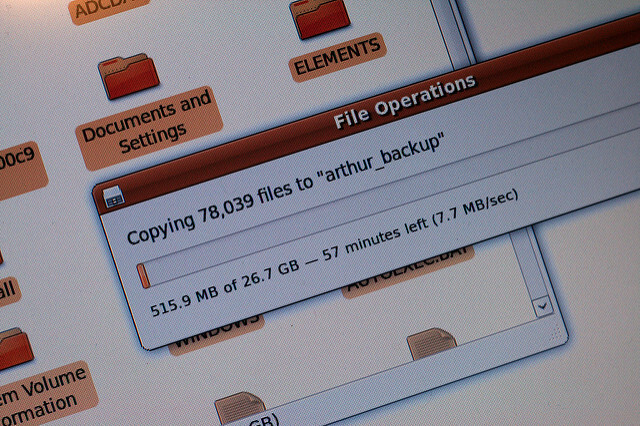 That is why it is time to take some fresh backups. 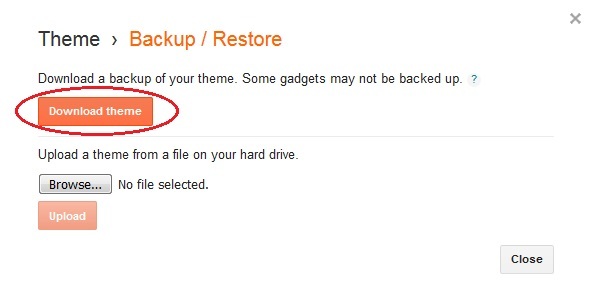 But, be aware, many don't realize that your content is spread across different components--template, posts and comments, images and videos--so if you just had been using the single 'Backup' button you were not getting everything. Though this isn't totally necessary, you should backup your template separately just to make recreating your blog easier. Step 2 also backs up your template with your content but having them separate is a good idea. Be sure to create a backup folder somewhere for all of your site content. I typically use a Dropbox folder so it gets automatically backed up offline. The file will have a name like theme-4829847293492863492873.xml. The easy path to my task would have been to strip out the entire Blogger template and add Bootstrap in its place as some of these template providers have done. But, if you read my Best Blogger Templates article you know that I am a stickler for keeping Google Blogger as pure to its original intent of a dynamic layout and user substitution of design elements vs a copy-paste of some Wordpress or other template like Bootstrap and just getting it to work. With the large number of free blogging sites out there, two still remain at the top for informational blogging - Blogger and Wordpress. Yes, there are other free blogging sites such as Tumblr, Weebly and Wix - but, they are not really my focus (other than Tumblr which I use for more visual blogging than informational blogging). Invariably, however, someone will always ask me what's better - Blogger or Wordpress? By Wordpress here I mean the free online version at Wordpress.com and not the software you download from Wordpress.org and manage yourself on external hosting platforms such as Bluehost (that would be like comparing apples to oranges - running Wordpress on a custom host is really more like building your own website except with a content tool installed). Of course, 'better' is a relative term depending on what you want to do with the tool. Given that, though, let's take a deeper look at both. First, I have to call out immediately that within the last 1 to 3 years you get no advantage for SEO utilizing either tool. Google has completely changed its strategy so that internal formatting such as tagging, long-tail keywords and metadata within the HTML is not nearly as important as the authoritative content you write and highlight. You can build rank directly with content, so, I'm not going to dig deep into the template structures other than to reinforce that content rules today. (For more information I agree with this SEO article generally but not as much with the keyword sections). This is an even tie for both tools.